Why See Singin in the Rain? 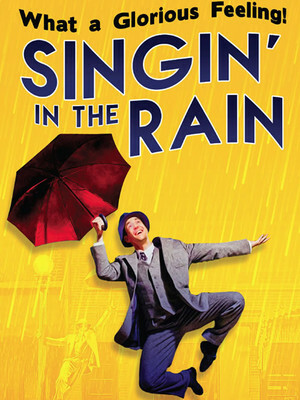 A pure joy from start to finish, Singin in the Rain is one of the finest musicals ever produced. This stage version at La Mirada is adapted by the movies' original scribes Betty Comden and Adolph Green, and is a colourful whirl of tap dancing, ballet, and Golden Age Hollywood glamour. The musical begins with the film industry transitioning out of the silent era and into the "talkies". We follow the blossoming romance between leading man Don, and the jobbing actress who's hired to dub over his on-screen partner's lines. 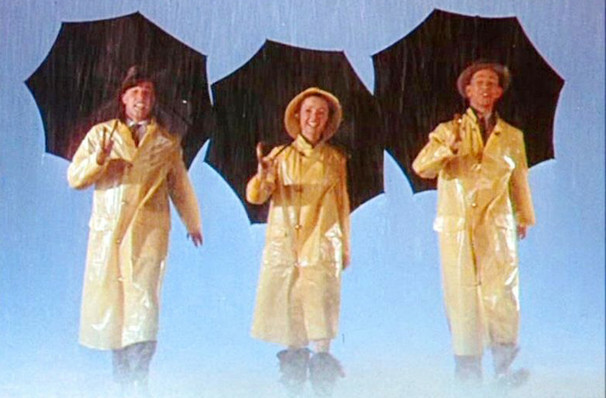 Singin in the Rain's score is a veritable Greatest Hits of the musical form, featuring 'Make em Laugh', 'Moses Supposes', and of course the iconic title track, whose puddle-splashing dance sequence is recreated here with an onstage rainstorm. Spencer Liff directs. Seen Singin in the Rain? Loved it? Hated it? Sound good to you? Share this page on social media and let your friends know about Singin in the Rain at La Mirada Theatre. Please note: The term La Mirada Theatre and/or Singin in the Rain as well as all associated graphics, logos, and/or other trademarks, tradenames or copyrights are the property of the La Mirada Theatre and/or Singin in the Rain and are used herein for factual descriptive purposes only. We are in no way associated with or authorized by the La Mirada Theatre and/or Singin in the Rain and neither that entity nor any of its affiliates have licensed or endorsed us to sell tickets, goods and or services in conjunction with their events.